We are pleased to welcome Exenia as a new DIALux partner. Based in Florence and part of the Lumenpulse Group since 2015, this company‘s main focus is on interior lighting. This still relatively young luminaire manufacturer scores particularly well when it comes to applying the most advanced technologies to Italian design. The whole production process takes place within the company, thus enabling comprehensive quality control. 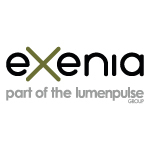 You can find further information about our new DIALux partner at: www.exenia.eu. "Nowadays what is feasible with innovative lighting can lead to exciting results" is one of the guiding principles of our new DIALux partner rutec. This company, based in Syke, Lower Saxony, has been a reliable partner for its customers for over 25 years, proving itself through user-friendly products, attractive prices, sustainable solutions and stylish design down to the last detail. To provide even better support for lighting designers and architects in the planning process, rutec is making its portfolio available in a DIALux plugin. Now the whole range of recessed spots, LED strips and corresponding profile solutions are available in digital form. You will find examples of innovative applications and a comprehensive overview of the portfolio at www.rutec.de. 2012 was the year of the new building. 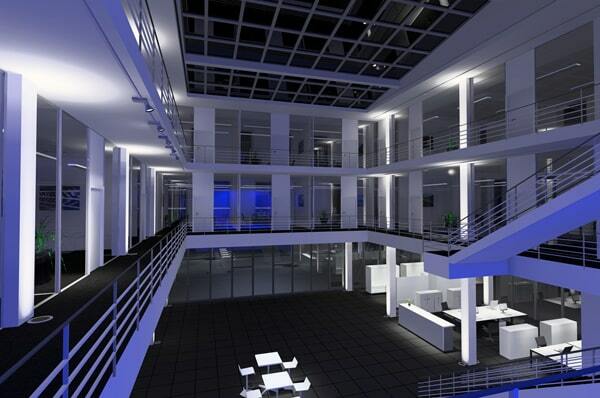 Two independently controllable components were planned for the office lighting. Based on our own research and design experience, consistent and continuous indirect lighting is enhanced by accents on horizontal and vertical planes. The initial agreement on installing low voltage spots was abandoned in favour of LED technology, since there were to be no compromises with regard to the quality of light.